A camel is an even-toed ungulate within the genus Camelus, bearing distinctive fatty deposits known as "humps" on its back. 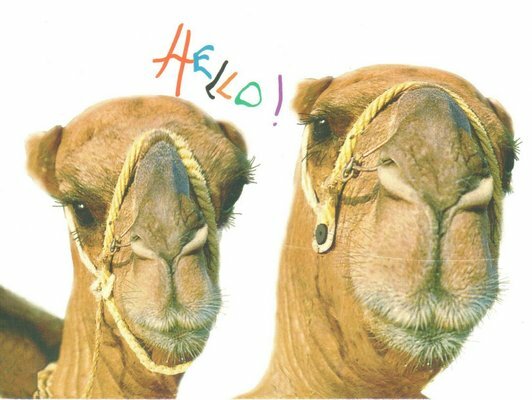 The two surviving species of camel are the dromedary, or one-humped camel, inhabits Middle East and the Horn of Africa; and the Bactrian, or two-humped camel, which inhabits Central Asia. Both species have been domesticated; they provide milk, meat, hair for textiles or goods such as felted pouches, and are working animals.